Take a deep breath and then take a leisurely look around your holiday residence. You will find the best possible comfort in a warm and welcoming atmosphere with the most modern ameneties as well as the attentive service that we are so famous for. 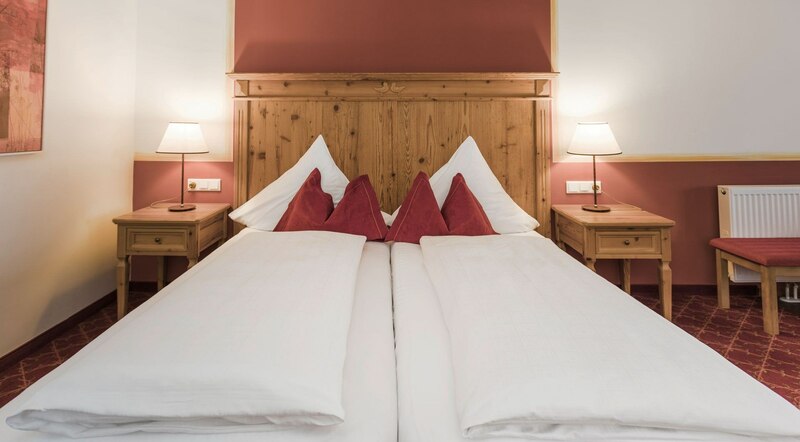 It's this devotion to caring for our guests that motivates to find and prepare the rooms you like best: With a view of Lake Fuschl, a double bed, a suite with enough room for families, the privacy of a single room and always with beautiful Salzkammergut panoramas. And because a holiday by Lake Fuschl is more than just about sleeping, we have put together a multitude of extra services and activities that are included in the room rates - from culinary highlights to an unrivalled wellness area, fitness programme and guided bike tours through the idyllic Lake Fuschl Region. All this is available to you at particularly reasonable rates when you book one of our packages. Whatever you decide to book, you will receive a warm welcome and dedicated service that comes from the heart. Enjoy the tranquility and pleasant dreams: The rooms and suites at Ebner's Waldhof are designed to induce peaceful nights and relaxing days and provide the ideal environment to unwind. Here at the Waldhof you like royalty. Here at the Waldhof the enjoyment of our guests is our ultimate objective. That is why you, our guests, can expect the very best of everything, from wellness to cuisine from sporting fun to cultural highlights. Want to know more.